The very first followers of Jesus were called the Nazoreans. This was a general name for the Jewish followers of Christ, but it is unknown to what extent they were actually Christian. They must have known and understood many aspects of Jesus - who spoke Aramaic like the Nazoreans - which are now lost and misunderstood. From 70CE cataclysmic events led to the Nazoreans being dispersed and broken, which led to their demise (except for a brief resurgence in the 2nd century). They were eclipsed by Roman converts to Christ (by the Pauline Christians, mostly). Many gentiles already called the Nazoreans Christians, but, we still know little about them. The Ebionites are more distinct and had one of the first Christian documents, the Gospel of Matthew. Later Christians moved so far from their roots that they came to no longer recognize the earliest Christians. The first Christians were the Jews who believed that Jesus was the Jewish messiah. 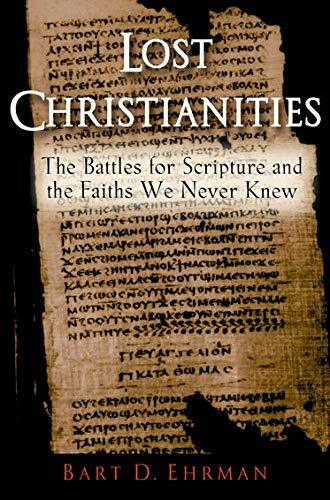 In his earliest work which mentions the Ebionites, Eusebius before 313CE writes that in a village called Choba, "there are Hebrews who believed in Christ, called Ebionites"3. They used an early Gospel of Matthew, and their beliefs are in accordance with the earliest reports of the gospels of Luke and Matthew, and with Jewish prophecy. The term Ebionite "was at first [...] a common name for all Christians, as Epiphanius (d. 403) testifies (Adv. Haer., xxix. 1). "4 and it was "used by the Christian bishop Irenaeus of Lyons (Gaul) in the late second century to designate a Jewish Christian sect". Although some later Christians thought that it came from a person called Ebion, this is not the correct root of the word. Ebionites may mean "austere ones" but the origin of the term is obscure5. The Ebionites justified all of their beliefs by the example of Jesus himself: "he was circumcised, observed the Sabbath and celebrated the Jewish festivals, and taught that all the precepts of the law should be observed"5. “The Ebionite Christians [...] believed that Jesus was the Jewish Messiah sent from the Jewish God to the Jewish people in fulfillment of the Jewish Scriptures. They also believed that to belong to the people of God, one needed to be Jewish. As a result, they insisted on observing the Sabbath, keeping kosher, and circumcising all males. [...] An early source, Irenaeus, also reports that the Ebionites continued reverence to Jerusalem, evidently by praying in its direction during their daily acts of worship. In Pauline Christianity, Jesus died for rather mystical reasons. It does not make sense to state that Jesus died so that people could know Jesus - as worthy people such as Moses existed before Jesus lived. Nor does it make sense to say that Jesus died so God could forgive, or lower the wages of sin: God could do that whenever it pleased. Ebionite Christianity did not suffer these problems: Animal sacrifices were made to God but were never perfect; only when (finally) a human who followed the Law perfectly sacrificed himself, was the ultimate sacrifice made, thus ending the need for routine animal sacrifices10. This simple and old Christian belief makes a lot of sense, without managing to introduce further complexities or scriptural contradictions, whereas the Christianity we know today struggles to explain why Jesus was sacrificed at all. Scripture thoroughly and clearly endorses adoptionism, see the verses here: "Christian Adoptionism and the Baptism of Jesus Christ: Centuries of Belief Before the Trinity" by Vexen Crabtree (2011). Ebionite Christianity did not remain the only form of Christianity. St Paul preached that the Jewish Law was no longer necessary for salvation. This less strict form of Christianity gained many converts, especially amongst the gentiles (non-Jews), for whom circumcision was distasteful. The Ebionites repeatedly condemned Paul as his preachings gained support, because of his denigration of Jewish Law and the Ebionites considered all of his writings to be dangerous sources of sinful living5. "Indeed, for them, Paul was not just wrong about a few minor points. He was the archenemy, the heretic who had led so many astray" by saying that you could be saved even without keeping the Jewish Law, "and who forbade circumcision"6. Other Christian groups arose who rejected the Jewish foundation of Christianity. Bart Ehrman in "Lost Christianities" provides a detailed description of the history of many early Christian groups. The success and popularity of these new groups caused the Ebionites to be eclipsed, and Pauline Christianity as we know it today flourished. This developing Church, and its founders, largely forgot and rejected the Jewish roots of their religion. But, curious Christians later wanted to know things that they did not know, for example when was Jesus born, and when did he die? So they went in search of their past. This is not the only time that Church elders went in search of their history, only to discover that what they found was not what they expected. They did not realize that over time their religion had changed, the same as with all other religious groups in history. They discovered that the beliefs of the early Ebionite Christians differed from those of their own developing Church. The Gospel of Matthew is a later copy of the Gospel of Mark12, using 92% of its text. 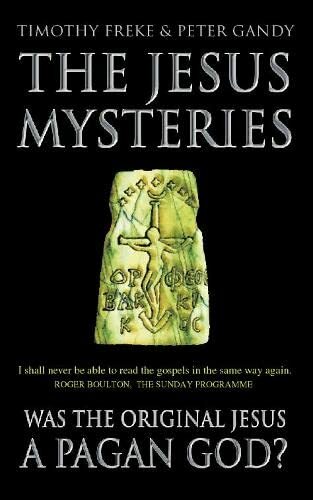 It is anonymous13 and it wasn't until about 150CE that the author "Matthew" was assigned14. It was written after the fall of the Jewish temple in 70CE, in Syria, and almost definitely written before 100CE. It went through several versions, probably edited by different authors, until it reached its final form by the 3rd century. The first two chapters, the birth of Jesus and the genealogy, were not found in the early versions. Matthew not written by an eye-witness of Jesus. We know this because it is a copy of Mark. No eye witness of such an important person would have needed, or wanted, to simply copy someone-else's memories about him. It is written in Greek and not in the native tongues of anyone who met and followed Jesus, and it was written too late to reasonably be the memóires of an eye-witness. Matthew specifically set out to correct many mistakes in Mark's gospel, especially regarding comments on Jewish customs and practices. Matthew was also written in order to debate some theological points, and had Jesus comment on those arguments, even though the disagreements hadn't arisen until after the supposed time of Jesus. Therefore, the gospel gives away the fact that it more of a theological argument than an historical account. 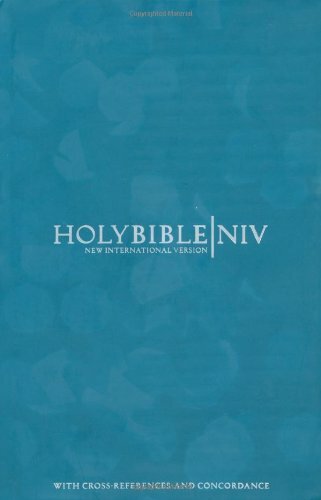 The Ebionites had a very early version of the Gospel of Matthew. There were many versions and editions of the gospels in the early years of Christianity. The Ebionites, being such an early group of Christians, had access to the earlier, less edited, version of Matthew. Early scribes were not beyond editing the text in order to prove their own views or to disprove the views of others. When the later Pauline Christians went in search of their own history and discovered the Ebionites, they found that their Jewish and adoptionist beliefs were different to their own11. They could not accept that they were the ones who had deviated from the truth. So, first, they set out to discredit and disprove the Ebionites in literature. Secondly, they burnt all the Ebionites' books. Later editors 'mistranslated' Isaiah 7:14 in the Septuagint and handily turned the prophecy that a young woman would have a child, to a prophecy that a virgin would have a child. This was used heavily in the debate against the Ebionites and other adoptionists by later Christians. The Ebionites were some of the original Christians: Jews who believed that Jesus was the Messiah. They populated the legendary Jerusalem Church. 'Ebionite' was sometimes used as a term to describe all Christians4. Those who we now know of as Pauline Christians opposed the Ebionites, after discovering them and realizing that their beliefs differed. Authors such as Tertullian, Origen of Alexandria, and many other intolerant "heresy-hunters" wrote at great length against the Ebionites. Many of the claims made against them were based on misunderstandings of their beliefs, and many anti-Ebionite claims were plainly ridiculous. Pauline Christians eradicated the Ebionites, burning all of their books (none survived) and harassing and arresting the people until none were left. They edited Luke 2:33 and Luke 2:48 where Joseph was twice called the 'father' of Jesus so that it did not say so, and they also edited Luke 3:22 where it plainly stated, in accordance with Ebionite beliefs, that God adopted Jesus. Pauline Christians, as non-Jewish Romans, handily came across a mistranslated prophecy that said Jesus would be born of a virgin (like other Roman sons-of-gods), adding a whole two chapters to the beginning of Matthew to prove their point. These edits, when they were uncovered, have shown that the Ebionites were treated very cruelly and unfairly, and that the original readings of Matthew and Luke both support Ebionite Christianity, rather than the Pauline Christianity that the West has inherited. Parent page: Types of Christianity in History: Who Were the First Christians? (1987, Ed.) 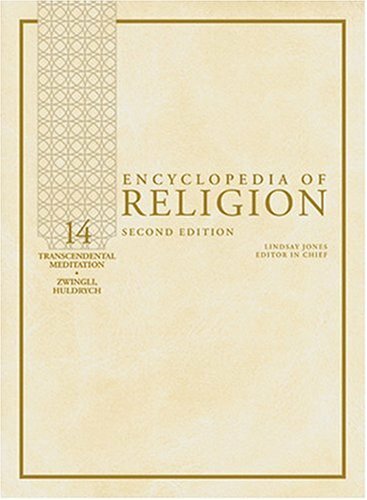 The Encyclopedia of Religion. Hardback book. Published by Macmillan Publishing Company, New York, USA. 16 huge volumes. Eliade is editor-in-chief. Entries are alphabetical, so, no page numbers are given in references, just article titles. 2012 Dec 28: Summarized the texts on adoptionism in Matthew and in Luke, replacing them with a single section on adoptionism in general (taken from my page on adoptionism), and edited and reorganized most the rest of the text.